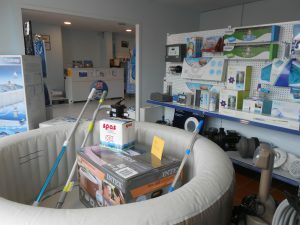 Located in Mont-ras, next to Palafrugell and very near to Palamós, in our shop you will find everything that can be needed for the care and maintenance of your swimming pools and water treatments. 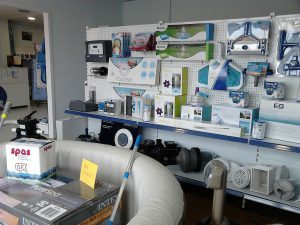 In the store we have a varied catalog of products, equipment, tools and accessories that will cover your daily needs. In addition, we can advise you and, if necessary, help you find the concrete solutions for each case with a personal and direct treatment.